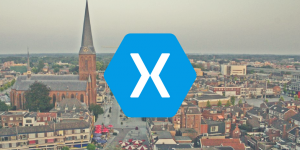 XABLU will have a booth during the Networking Drink at the Azure Red Shirt Dev Tour in Amsterdam. We look forward to meeting you there! 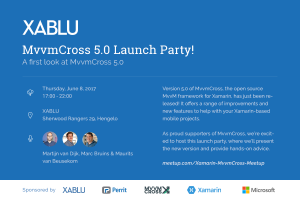 We're proud to be a Gold sponsor of this year's TechDays NL! 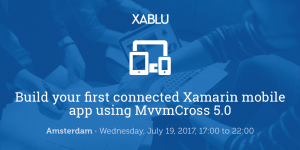 We'll be offering a session on building connected apps with Xamarin, MvvmCross and Azure, and an evening hackathon where you can dive into building an innovative app, getting hands-on advice from our team as needed. More details to come! 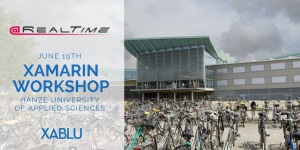 This is a free workshop for ICT students at the Hanze University of Applied Sciences in Groningen - open to both members and non-members of S.V. Realtime! 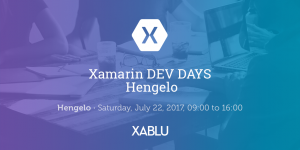 We'll be introducing Xamarin development and by the end of the evening we'll give the students the chance to try it out for themselves.